This is my first time shipping with your company. What should I do? How long will it take for my order to get to Aruba or Curacao? I have placed a number of orders. Can you hold my packages until everything arrives so that they can leave all together? I am buying a vehicle in the U.S.A., and wish to have it shipped to a Bon Trade international destination. What do I need to do? My order was delivered to Bon Trade Intl., but the delivery documents were stamped “NOT PACKED FOR EXPORT.” Why? Bon Trade Intl. refused to receive my cargo. Why did this happen? As you can see, it is not necessary to include Bon Trade’s corporate name. You may do so if you wish, but your Bon Trade profile name is a mandatory part of the ‘ship to’ information, in order to identify your order accurately. (Accordingly, we strongly recommend making different profiles for different destinations.) In addition, make sure to send a copy of the purchase invoice to Bon Trade; we need it to ship the cargo in question. Once your order has been successfully entered into the Bon Trade system, you will automatically receive an e-mail notification. Missing invoices will be highlighted and requested in this e-mail, if necessary. N.B. : We receive many orders which cannot be identified due to missing information. In these cases, you will not receive an e-mail and the shipping process will be delayed. However, you can also use the shipping convention in which instructions are sent to the carrier in the form of an airway bill of a bill of lading. Order handling is optimized with the inclusion of these instructions. If we have your e-mail address, you will also receive an invitation to track your cargo using the Magaya Cargo System (MCS; requires an account set-up) on your first shipment with Bon Trade. You may view completed orders, pickup requests and other helpful tracking information such as your shipping history using your MCS account. You may also request pictures and view them by logging in to MCS and clicking on individual delivery receipts. MCS also includes scanned copies of all documentation received from you by Bon Trade. This includes direct bills from BON Trade Intl (i.e. invoices not generated through an agent) and all other invoices. Our vessels set off for these destinations every Friday. Therefore, if your cargo reaches us on a date before the weekly deadline (see below) – with the appropriate invoice – it will leave within the same week. Transit times between South Florida and Aruba or Curacao is usually 5 to 6 days, depending on the carrier schedule. However, an additional 2-3 days, in which customs clearance, unloading and transfer to our agent’s warehouse takes place, must also be allowed for. You can also track the arrival, departure, and progress of your orders to these destinations using MCS (see FAQ: ‘This is my first time shipping with your company. What should I do?’). The deadline is Wednesday at 12pm. Note: Orders received after this cut-off may be subject to delayed shipping. Cargo received without an invoice and/or necessary documentation (Hazardous Material documents, etc) may also experience delays which may be prolonged beyond Bon Trade’s normal standards of expedition in shipping. 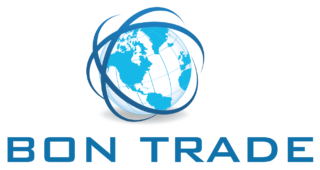 Unfortunately, Bon Trade International does not operate as a package-consolidation, or fulfilment, service and we cannot manage your orders in that manner. However, we do offer an additional service in which we place your order in a holding pattern (“CARGO ON HOLD”) for a minimal fee. (Note: Please consult us regarding these prices as they can change at our discretion.) This service requires your authorization, and removing it from the holding pattern is your responsibility. Fulfilment services are provided by companies that handle your orders by following specific instructions (e.g. : a. Receive multiple orders; b. Select a specific number of orders to pack and ship as one; c. Label this cargo a certain way and ship by a certain date, and so on). These are not services typically provided at Bon Trade. Special requests are handled as exceptional courtesies, and we endeavor to do so at no cost whenever possible. However, if this is a regular need for you as a customer, you may be advised to consider an established fulfilment service. For a company that focuses on shipping, fulfilment is abnormally intensive on the resources and personnel available to it. This renders fulfilment through these organisations unreliable and unprofitable; therefore, neither customer nor company benefit from it. Magaya’s Live Track is an ActiveX application that runs within Microsoft Internet Explorer and other browsers. It allows companies like Bon Trade to inform customers of service updates as those same services are being enacted in real-time. Magaya Live Track offers detailed information that includes warehouse receipts, pick-up orders, airway bills, bills of lading, and invoices. Due to Federal Regulations and requirements, the exportation of self-propelled motor vehicles outside U.S. territory has extensive, detailed considerations. *These documents are accepted in their original forms only by U.S. Customs in South Florida. N.B. : Please refer to the ‘ABOUT’ section of this website for more information on our vehicle shipping and handling policies. Bon Trade needs the documents as outlined above in order to convey the vehicle at a pick-up location and deliver it to the port. A quote would be provided for all services upon request. Payment in advance may be required for some or all of our vehicle-handling services. We have found that most suppliers, as well as some manufacturers, are not aware of the conditions that merchandise or cargo may encounter in the course of transport or shipping. This can result in situations such as a shipment of furniture with no appropriate protective packaging whatsoever, or cargo that appears to be well packaged for transit but proves to be susceptible to damage in transit. Cargo should have at least minimal protection from shocks or other types of damage. Protective packaging also protects cargo from the minor vibration and shifting that is to be expected in normal transit conditions. Therefore, Bon Trade Intl. may apply labels stating, “NOT PACKED FOR EXPORT” to packages delivered to our warehouse in substandard packaging. Cargo deemed “NOT PACKED FOR EXPORT” may affect our agreement to transport the merchandise in question if the delivering carrier or attendant does not want to take on the risk. In this case, the cargo may be removed from the shipping process. In some cases, the company and customer may agree that such cargo will be repackaged to be more robust in transit; and we will assist in this process. If the shipping process for this cargo has to be halted, or the delivery returned, for this purpose, the customer in question may incur “In&Out” charges. The size or weight of the order exceeds the capacity or storage capabilities of our warehouse. If the order is too heavy for our equipment, too large for the warehouse doors or exceeds the capacity of a container, we must refuse it. We may, however, be able to redirect its delivery to the port of export (or to a second facility that can receive the cargo) in some cases. Note: Delivery appointments, which are required for an order greater than 2 pallets in size, may prevent this eventuality. Therefore, if your cargo is of this size, please request an appointment whenever possible in order to avoid the disappointment or inconvenience a refusal of receipt may cause. If a delivery of cargo is found to be damaged, or is strongly suspected of having been mishandled by the carrier on receipt at our warehouse, we may opt for a refusal. This measure is necessary to protect both the consignee and our own interests. This policy has arisen based on our experience in the international logistics industry; we find that it benefits our customers and our ability to complete our obligations as a shipping concern. In some cases, cargo may be delivered in the anticipation of payment for the merchandise or freight. Unless Bon Trade Intl. has been asked or authorized to make this payment, the order may be refused. This avoids duplicate charges for the same delivery (e.g. a situation in which pre-paid freight is charged for again on delivery). Bon Trade does not accept cash-on-delivery, or collect deliveries unless authorized; therefore, we respectfully request understanding when we refuse an order under this policy.